Pleated blinds gently filter light bringing a warm glow to a room creating a calm and relaxed atmosphere, the perfect finishing touch for any living room. 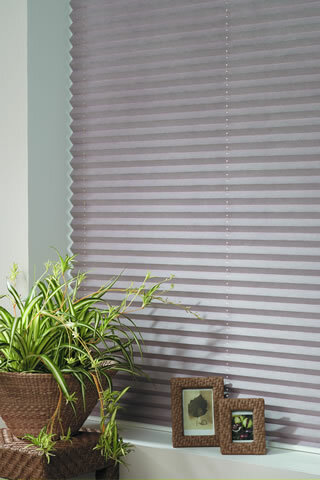 Choose aluminium-backed Pleated blinds if you want to stay comfortably cool in summer and warm in winter. If you need a no obligation quote for pleated blinds Folkestone, Whitstable, Canterbury, Herne Bay or Deal, Kent and the surrounding areas, Goldsack Blinds are happy to provide one to you.